HEADERTARPS – Award for Excellence Winner in Product Innovation - Specialised Textiles Association . Australian Made and Australian Owned. HeaderTarps – A NEW concept in Combine Harvester Covers that Protects your harvest and adds productivity by allowing more grain in the bin without Spillage. Sick of SCRAMBLING around to find an empty field bin as the rain is approaching? Have you ever woken at night by rain STRESSING you didn’t tarp the header? Would you like to fill your Combine Bin to capacity with NO SPILLAGE? Like the rest of us people on the land, you don’t like to gamble with your business so why is it that you have answered YES to the above questions? WORRY NO LONGER, we have the solution to all these problems and the benefits to YOU – are huge! 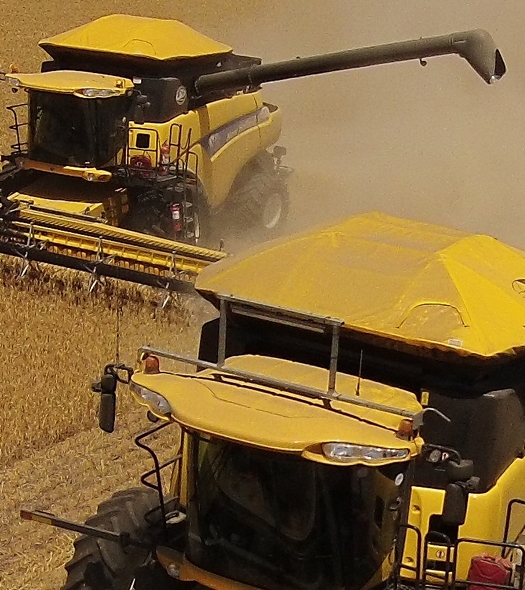 If you have a Combine Harvester then HeaderTarps Australia has you covered.